Dashing detective Lord Peter Wimsey is caught up in the murder trial of mystery writer Harriet Vane. Her fiance has died of poisoning exactly as described in one of Harriet's novels, so naturally she is the prime suspect. As Peter looks on, he not only falls in love with the accused but eagerly helps with Harriet's defense when the first trial ends in a hung jury. Will she be convicted and executed for the crime, or can he save her life and win her hand in marriage? The reader is okay but the quality of the recording is not up to the usual quality, with changes in clarity, volume, and pitch with most chapters. 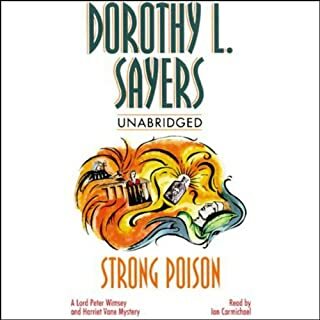 I very much hope that there is a plan to record the Sayers stories anew, and a complete set thereof. They merit a first-class effort. 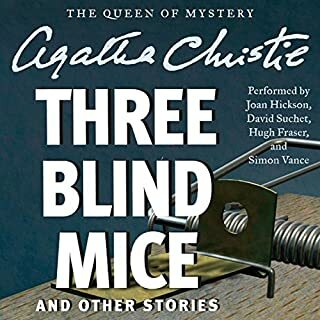 Delightful but, as with my other Christie collection, the chapter listing only shows a numeral. Ms Christie gave her chapters lovely titles so it would be nice to have these listed in the directory to ease navigation.